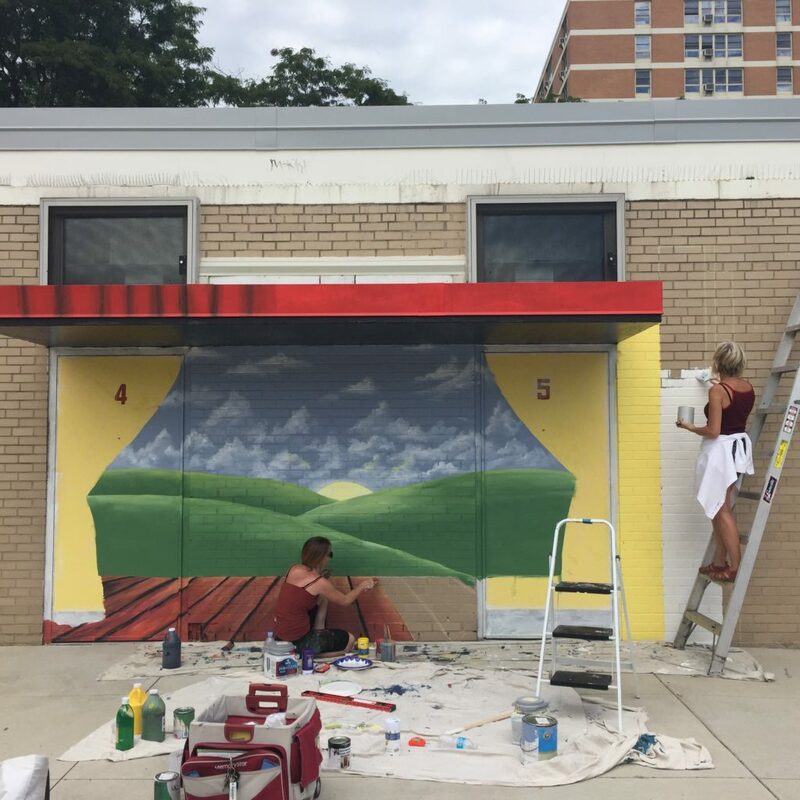 Muralist Ryan Katz and Deb Roseen (Pritzker parents) working on some new outdoor art for the school year! Putting some finishing touches on a mural at Pritzker just in time for school to start! See if you can find this on campus!! 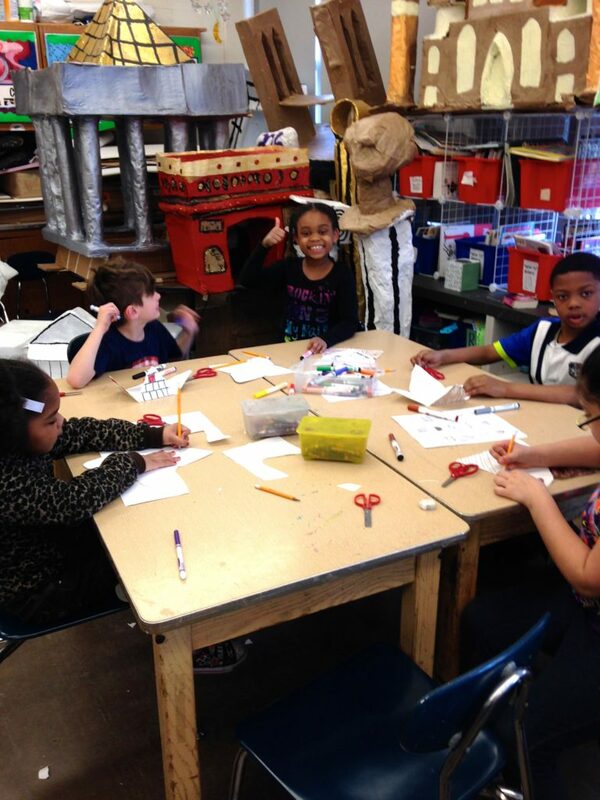 $41,000 Raised for Art Room Improvements! 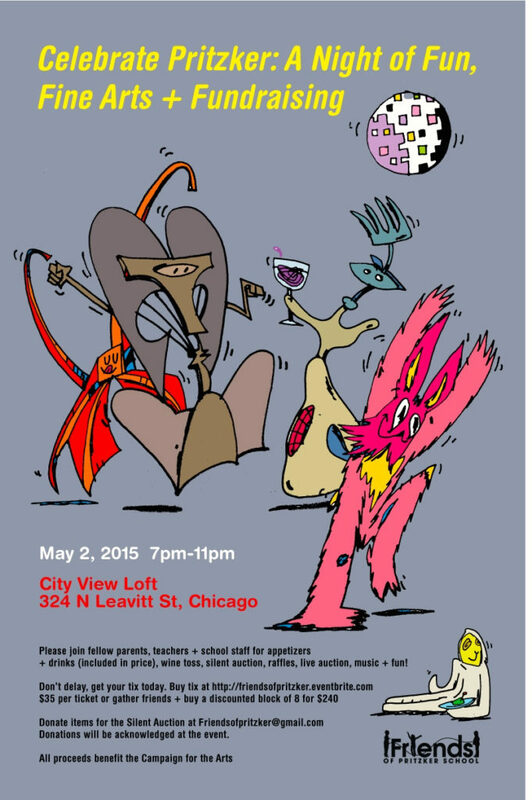 CELEBRATE PRITZKER PARTY – MAY 2!! Items like gift cards, sports or event tickets, restaurant are needed to make our May 2nd event SOAR! Help us create a great evening all while supporting the school. Email Ryan Hiss: RHiss@LymanNielsen.com for more info! DREAM BIG winner of Red Tricycle Award! VAUGHAN HOSPITALITY Sponsors Beauty and the Beast!